Bladderwrack is a Brown seaweed that has been used for centuries in Europe to support healthy thyroid function (also see Bladderwrack Capsules and Thyroid Support Formula). 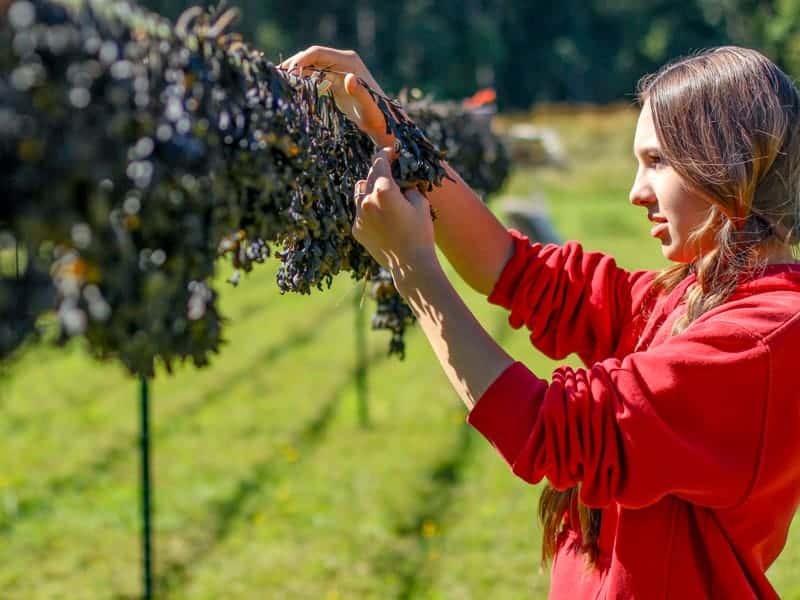 Bladderwrack is a very good source of minerals, trace elements (including iodine and selenium), therapeutic polysaccharides (algin and fucoidan), vitamins, carotenoids, chlorophylls, polyphenols and antioxidants. 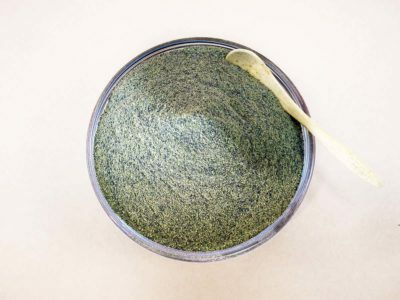 Compared to our other seaweed powders, Bladderwrack Powder has a very strong taste. It is best used as an ingredient in smoothies or mixed into a cup of water or juice. One level teaspoonful weighs about three grams. You can also use Bladderwrack Powder for a therapeutic seaweed bath (see directions below). It helps relieve aches and pains and makes your skin feel great! 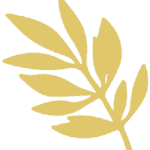 Bladderwrack Powder will retain its quality for two to three years if kept in a freezer. Not recommended for pregnant women or people with overactive thyroid conditions. 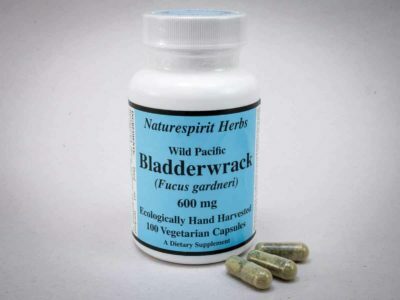 If you find that Bladderwrack Powder causes gas or loose stools, start with a smaller amount. You can also use Bladderwrack Powder for a therapeutic seaweed bath. It helps relieve inflammation and makes your skin feel great! 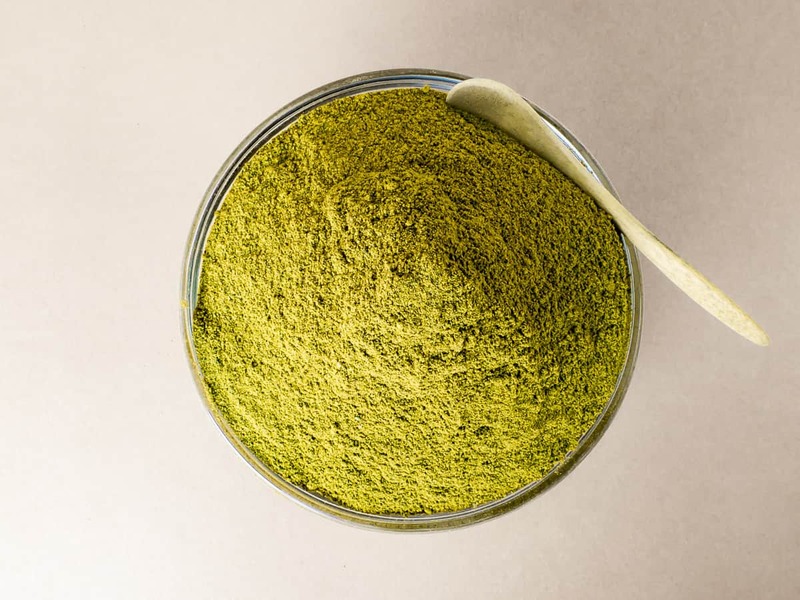 Simply sift 1/4 to 1/2 cup of Bladderwrack Powder (or Kombu-Wakame Powder) through a strainer into your hot bath and hop in! You can also add a cup of epsom salt and a few drops of your favorite essential oil if desired. 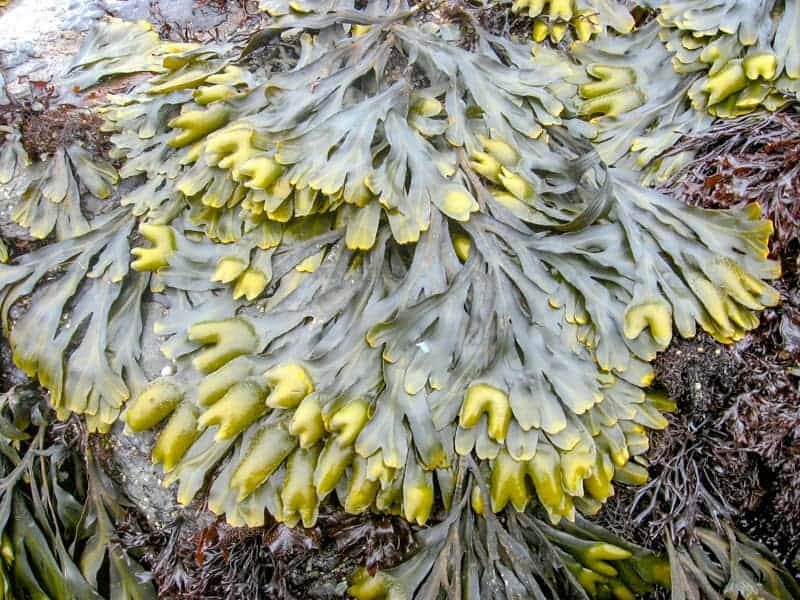 Seaweeds have been used for skin care and health therapies since ancient times. Seaweeds are full of therapeutic gels and minerals that nourish, soothe and moisturize your skin. 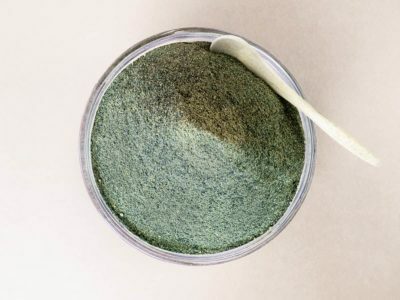 To mix up a batch of seaweed facial mask or body wrap, mix one part (by weight or volume) of Kombu-Wakame Powder or Bladderwrack Powder with about 10 parts of powdered clay. Add a drop of your favorite essential oil if desired. Slowly add a mixture of water and honey (or glycerine) to the seaweed and clay and stir it in until you have a yogurt-like consistency. Apply a thin layer to the face and/or body. Wait 1/2 to 1 hour before rinsing it off. You can also use Bladderwrack Powder for a therapeutic seaweed bath. It helps relieve inflammation and makes your skin feel great! Simply sift ½ cup through a large strainer directly into your hot bath and mix it in.